1. Don’t add a lot of water to those beans. If you do they will disintegrate. You just want to add enough to cover plus a couple of inches. You can always add more if needed. 2. When you have a pot that is bigger than your burner make sure you can see the flame. If you can’t it might be too high and those beans will burn. (Happened more than once.) Nothing makes you cry more than a 60 quart pot of beans that are burnt at the bottom. 3. Make sure your beans are fresh. Two years in a row some of the beans didn’t soak and were hard when I went to cook them. Husband wasn’t too happy when I called him in tears at 4:30 a.m. to come and help me sort the beans. 4. Stir, stir, stir. 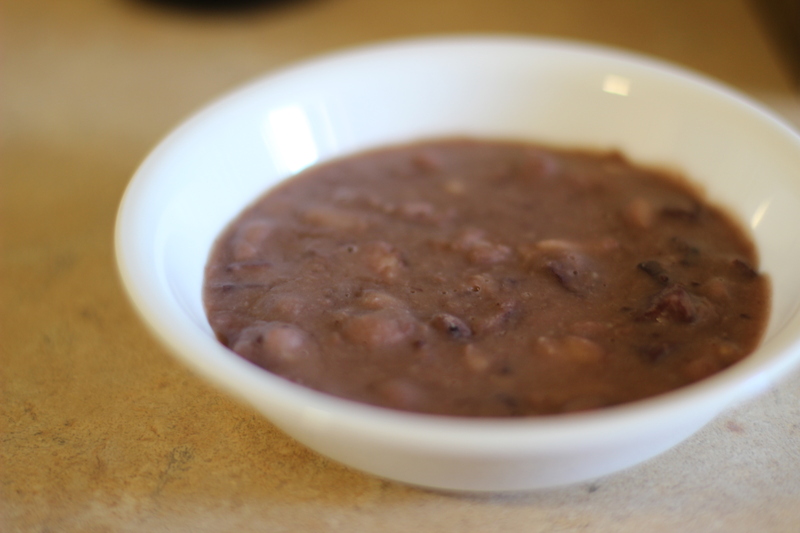 Stirring produces a creamy texture that you need with these red beans. After the first year I did have a man to help stir the beans. The 4th year, I along with my helper Jake decided we were never cooking beans again. This was after burning a pot. It wasn’t until I was at a friends house and he was cooking a massive amount of beans for an FFA function that I changed my mind. 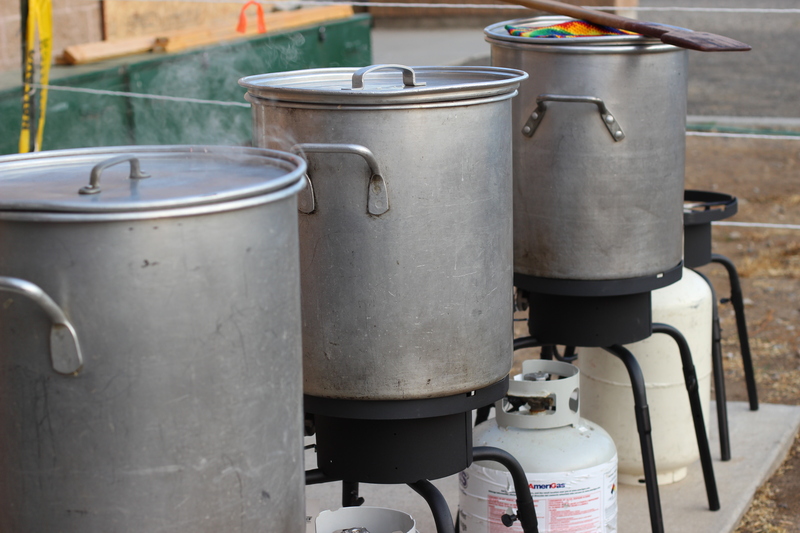 Tom had these great Camp Chef cookers for each pot of beans. I immediately asked him to order some for me. What a difference that made! No burned beans and they cooked in a record amount of time. Instead of starting the beans at 3:30 a.m., I started them at 6:30 a.m. and they were done by 11 a.m. and we cooked them outside! I even got Jake back this year to stir! This recipe is a smaller version of the one I made for the picnic. It’s a tasty dish and I hope you like it. 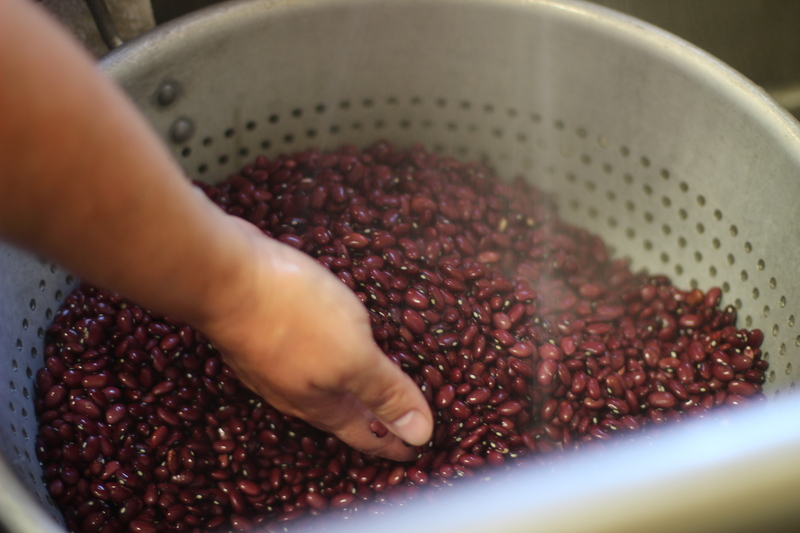 Sort, rinse and soak the beans overnight in a bowl large enough to cover the beans with water plus a couple of inches. After soaking and rinsing before adding water. 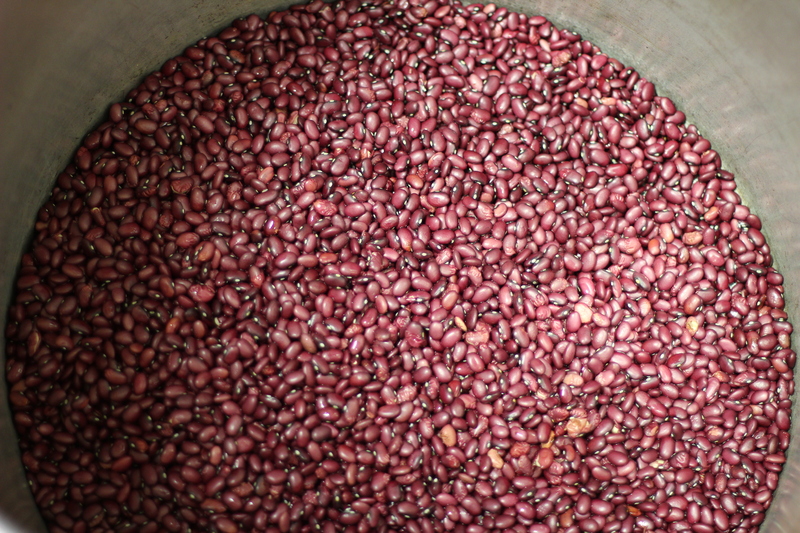 Rinse the beans and put in a large pot and cover with water. 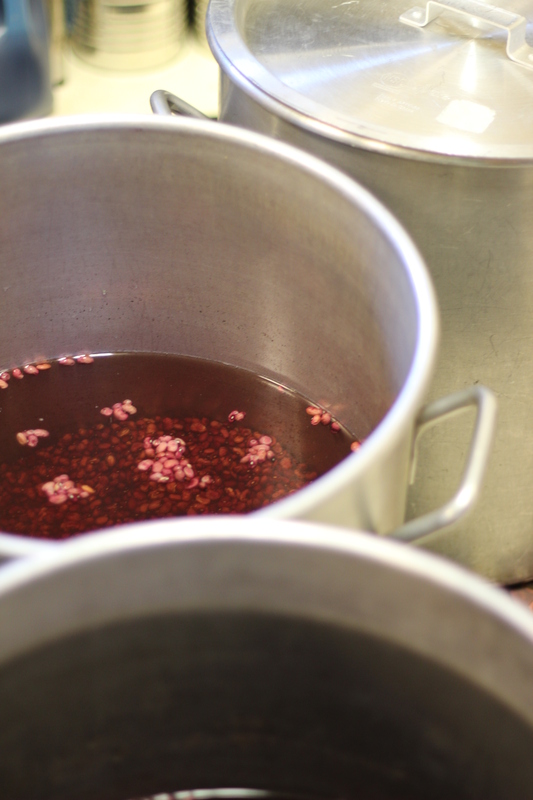 Bring to a boil and add the rest of the ingredients. Turn down to medium heat. Stir often. As soon as they are soft and creamy they are done. About 2 hours or so. 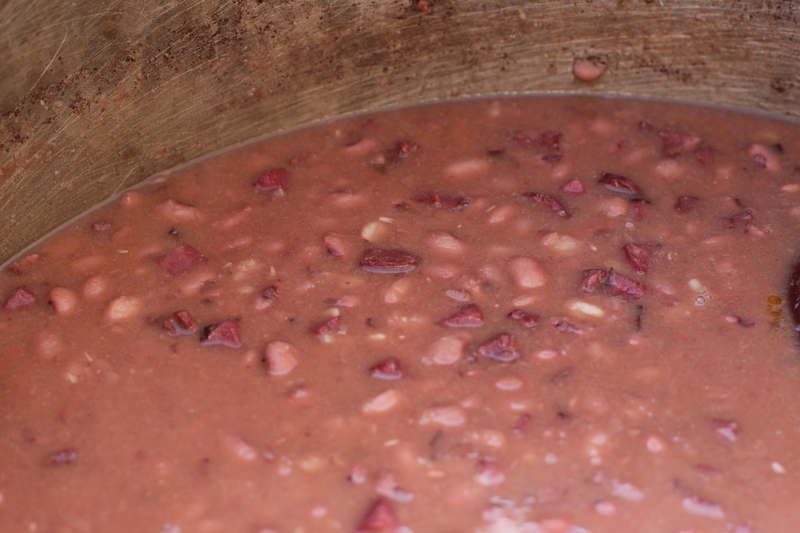 Posted on September 18, 2014 September 19, 2014 by MarilynPosted in BasqueTagged Basque, bean pot, beans, chorizo, ham, ham hock, meal, picnic, red beans, side dish. Previous Previous post: Starting a new career at 60 years young! Next Next post: Trip of a lifetime to the Azores!